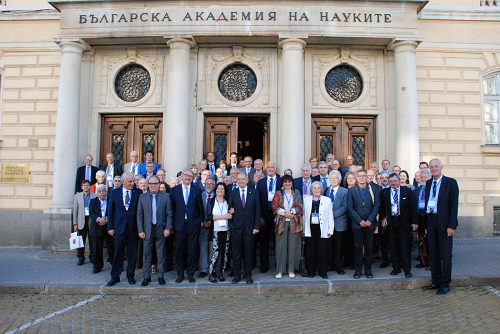 ALLEA held its 19th General Assembly at the Bulgarian Academy of Sciences (BAS) in Sofia on 16-18 May 2018. 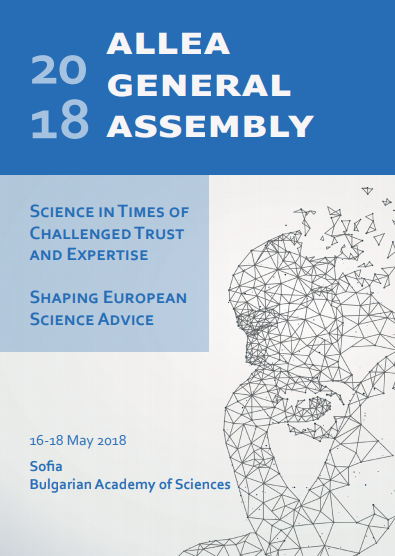 The event comprised the ALLEA scientific symposium “Science in Times of Challenged Trust and Expertise”, as well as the science-policy symposium co-organised by the European academies’ project SAPEA titled “Shaping European Science Advice: Insights and Experiences”. As in previous editions, this year’s General Assembly was held in conjunction with ALLEA’s annual business meeting, which brought together representatives from almost 60 ALLEA Member Academies. Professor Antonio Loprieno assumed the Presidency of ALLEA for the term 2018-2021 during the business meeting, following his election in September 2017 in Budapest. Antonio Loprieno succeeds Professor Günter Stock, who served as ALLEA’s President for two consecutive terms from 2012-2018. A new ALLEA Board was also elected during the Business Meeting. 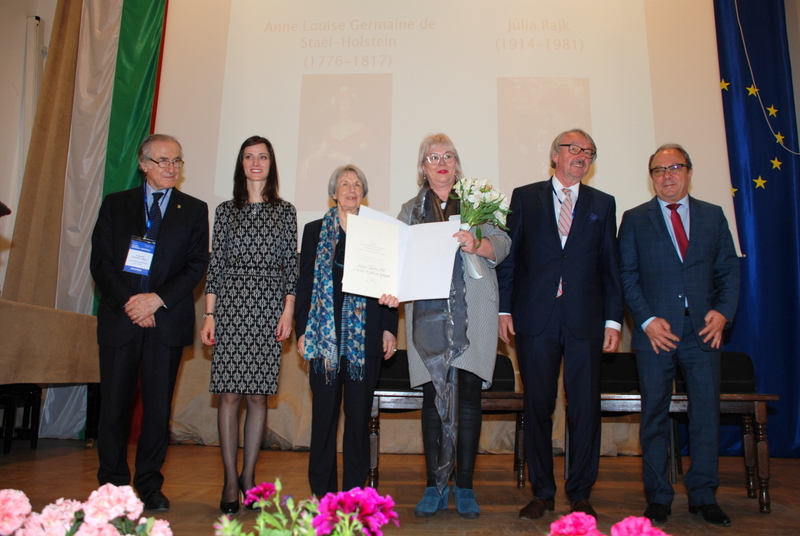 On 16 May 2018, following the ALLEA scientific symposium “Science in Times of Challenged Trust and Expertise”, ALLEA held the award ceremony for the 2018 All European Academies Madame de Staël Prize for Cultural Values. This year, Professor Andrea Pető (Central European University) was awarded the prize for her wide-ranging scholarly work on gender studies and European contemporary history. The award was handed over by the European Commissioner for Digital Economy and Society, Mariya Gabriel, during a festive ceremony at the Bulgarian Academy of Sciences. The laureate delivered a lecture entitled “Parallel stories in European history.” The ceremony was rounded off by a festive evening reception in the National Archaeological Museum. The 2018 ALLEA Scientific Symposium “Science in Times of Challenged Trust and Expertise” held on 16 May aimed to debate the challenges posed to science in its role as a trusted source of evidence and expertise. A second scientific symposium was held on 17 May, organised by SAPEA (Science Advice for Policy by European Academies), titled “Shaping European Science Advice: Insights and Experiences”. The symposium offered the opportunity to explore and engage with recent developments in scientific advice in general, as well as analysing developments resulting from specific recent examples. You can watch the various events of the 2018 ALLEA General Assembly in our recorded sessions.